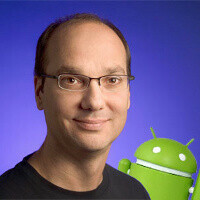 Every once in a while, we’re hearing an update from Android chief Andy Rubin about Android activations. Recently, the number zipped past the staggering 700,000 Android devices activated each day and over the Christmas weekend that number soared to 3.7 million. But what exactly is an “Android device” and how does Rubin and Google count it? But what about the tablets that are sold with Wi-Fi only, so they don’t require activations, are they included as well? TheVerge got some inside information from an allegedly reliable source who finally sheds some light on the matter. Turns out, Google is counting devices based on Google services. Most mainstream Android products do have the Android Market, Gmail and the rest of the Google suite of applications. Whenever someone activates a Google services account on a new device, Google’s activations counter goes up. Simple as that, if we are to believe that source. This is also pretty convenient as it allows other manufacturers like Amazon with the Kindle Fire, not to include the Google suite of apps and thus those devices without the full Google experience are not included. All the rest however are and that seems like a close enough approximation of all Android devices out there. How are activations of custom ROMs counted? If you flash 10 ROMs on your phone just to test, is the device counted only once? if they are taking steps to prevent double counting, i would presume that an activation is tied to a physical device in some unique way. that physical device has serial numbers on it. when you activate, i would assume those numbers are logged a long with your gmail info so that way the numbers can not be used again. If it doesnt track those numbers, then there is no way they could know if your activating a new phone or a new rom. My vibrant has been registered as a vibrant, i9000, and now a galaxy nexus because of different ROMs... but its always had the same set of numbers attached to it. Yep, once activated, your IMEI is logged within Google's servers, thus your phone counts once. This article is so wrong,the google activations is measured by phones and their imei. If you log into your gmail account you can see the history of all the phones you had with the google account and their imei's activated. thats cool and all google "supposedly" has all of those activations but does it really matter? Yea the Imei and serial number of tablets and such would be a much better way. Like i just got a tablet, but i have been having a gmail account, so now that my tablet is linked with my gmail account that seems like it would count as a activation.